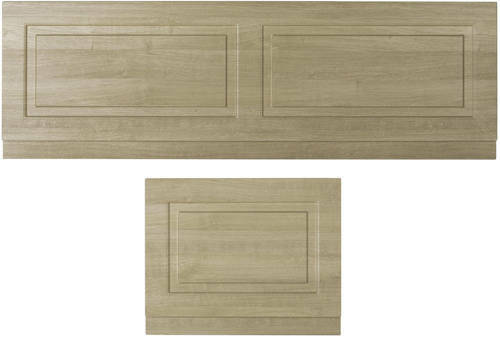 Old London York > Front Bath Panel 1700mm & End Panel 750mm (Oak). Old London York traditional bath panel pack in oak (1700mm front bath panel and 750mm end panel). Front panel size: 1695W x 560H x 18D mm (100mm plinth). End panel size: 730W x 560H x 18D mm (100mm plinth).